This article comes from a legitimate question asked of me about a decade ago. A friend who worked in the commercial printing industry was angry about all the then-new recycling regulations for printers’ chemicals (which were mostly made of silver, vinegar, cellulose, gelatin, and a few gentle acids.) These seemed like perfectly normal things to put back in the ground; after all most of that stuff is actually edible and part of a relatively nice dinner. Today, we generate more electronic waste than ever and more of it must be recycled according to laws. Yet, every single item we toss away started its life in some mine somewhere, all of them on this planet. How could we possibly be making the planet worse by putting that stuff back? I know, it sounds like it shouldn’t make a difference. But it does. Here’s why. Just because it came out of the ground somewhere doesn’t mean you want it going into the ground near you. My point is some of those elements were inert when they were mined, now they’re quite poisonous. Sometimes just mining them is dangerous and expensive. When you look at the amount of aluminum, zinc and tin that’s in a computer (or anything electronic for that matter) you have to remember that the process for mining those metals is pretty bad for the surrounding area and on the other hand, it’s pretty easy to separate out those metals from other stuff and use them again. It’s a common misconception that recycling takes jobs away from people. It’s true that mining jobs can be lost when you recycle, but on the other hand you’re adding jobs in recycling plants which are often better work environments. 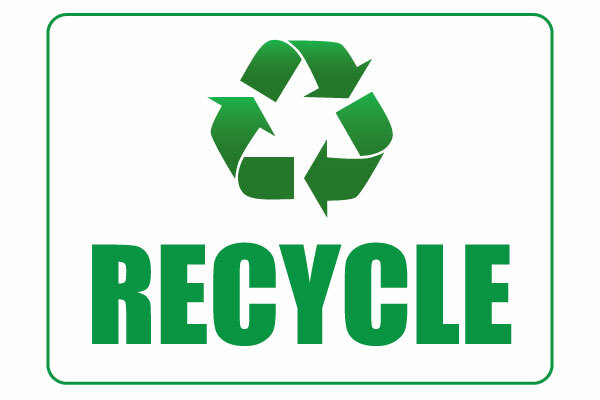 Recycling is good for Americans because in many cases it’s illegal to export electronics for recycling overseas. It’s done anyway, but most of the recycling that takes place is done fairly locally to where the items were used, yet the process is safe for the environment and people get good jobs in climate and temperature controlled environments. The business of recycling is going to grow and the processes will get less expensive over time, too. So this is an industry you can be proud of. Who knows, maybe someone will come up with a cheap way to make cars run on recycled computer parts. Stranger things have happened. What I’m trying to say here is that recycling isn’t the enemy. It may be annoying to separate out your used copier paper, corrugated boxes, old remotes and VCRs, but it’s worth it in the long run and not just because of some flower-child view of the environment. It actually makes good business sense, keeps jobs in the US, and keeps our neighborhoods clean too. So what’s the downside?